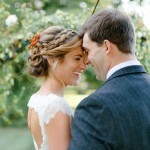 Today’s wedding features gorgeous bride Ella and her dapper groom Daniel! 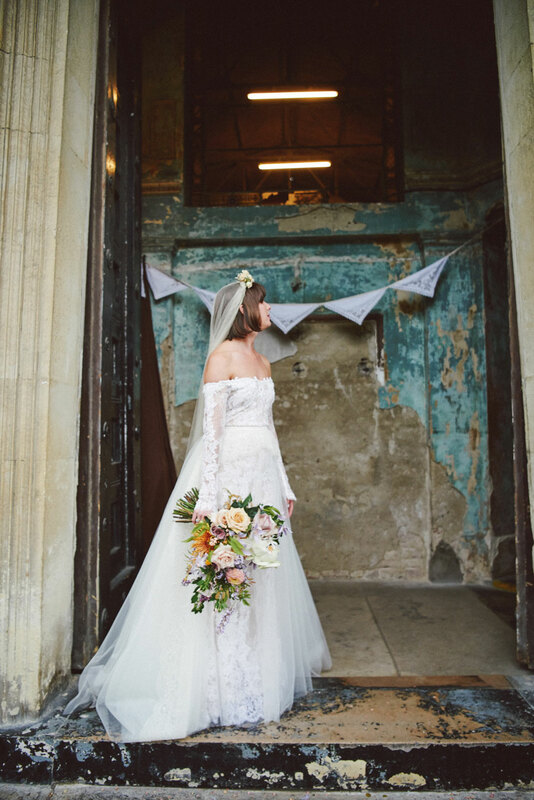 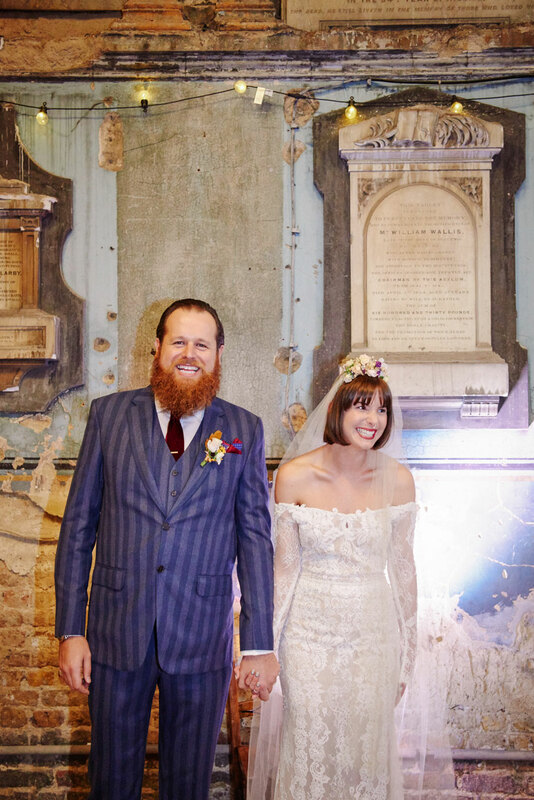 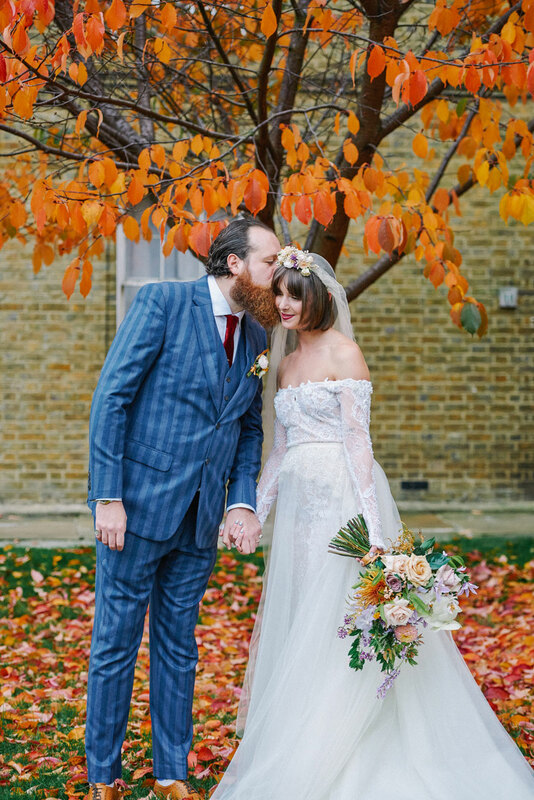 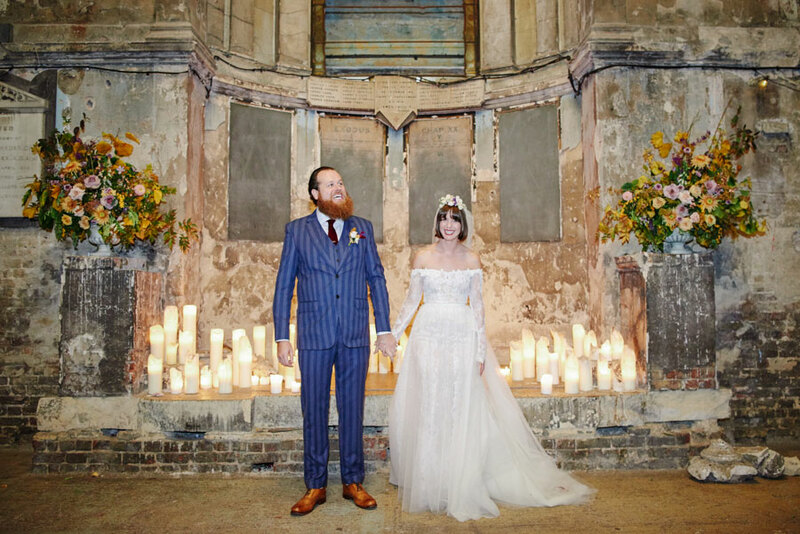 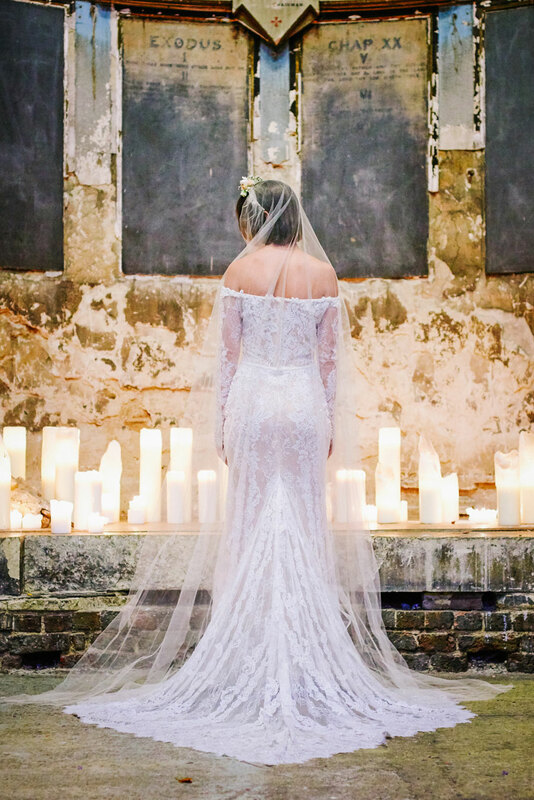 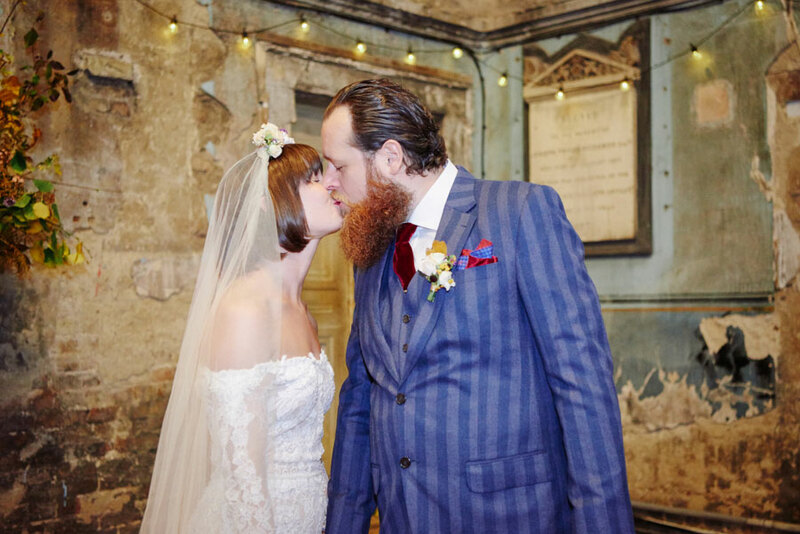 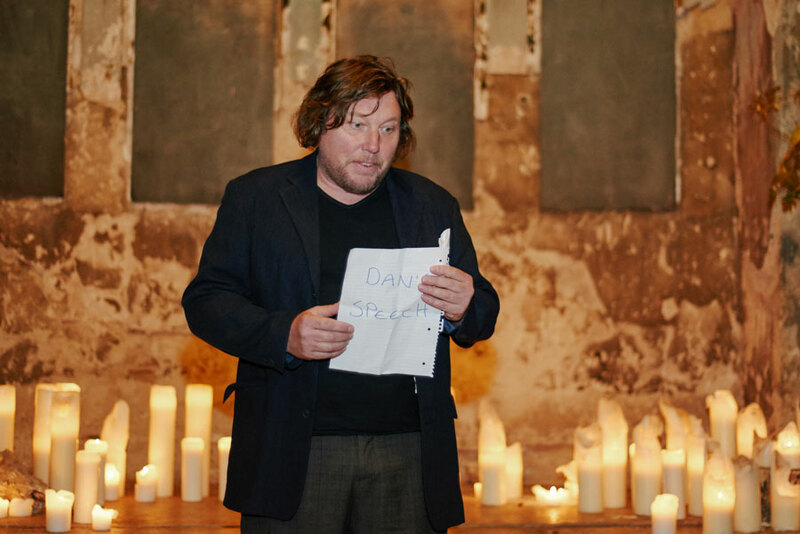 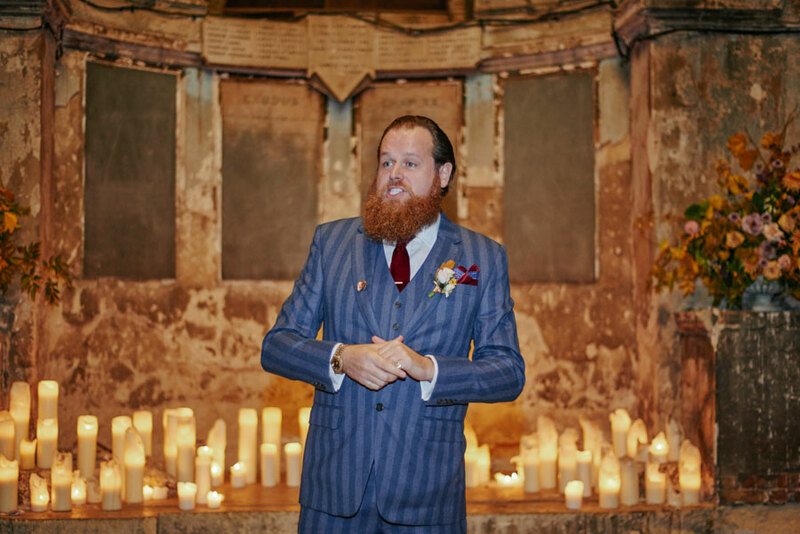 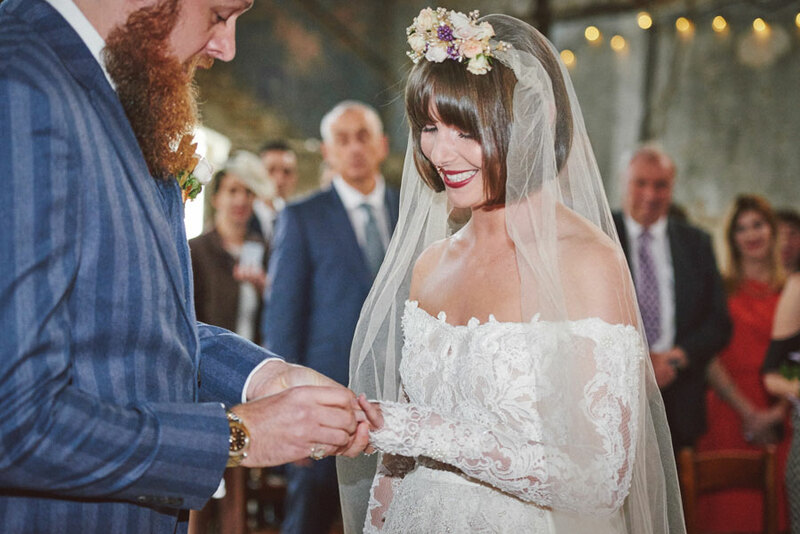 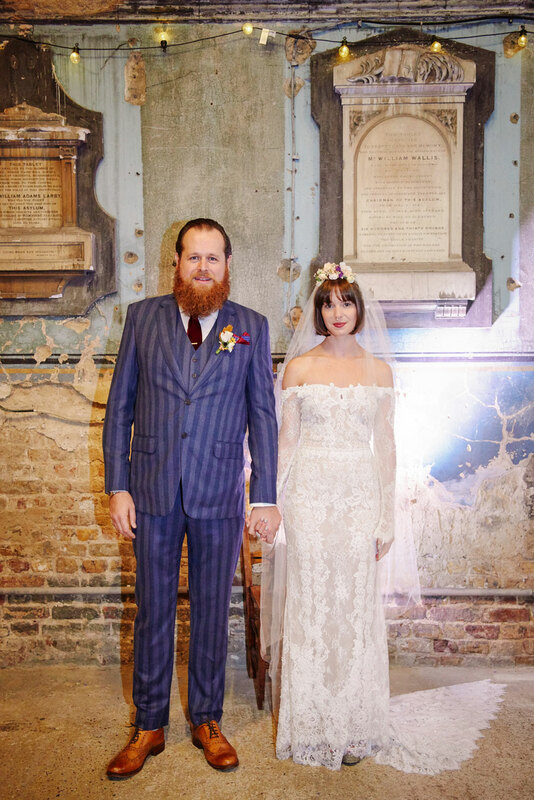 They chose an alternative wedding venue located in Peckham, London – a beautiful, dilapidated church no less, that had incredible floral and candle arrangements to complement the decaying beauty of the surroundings. 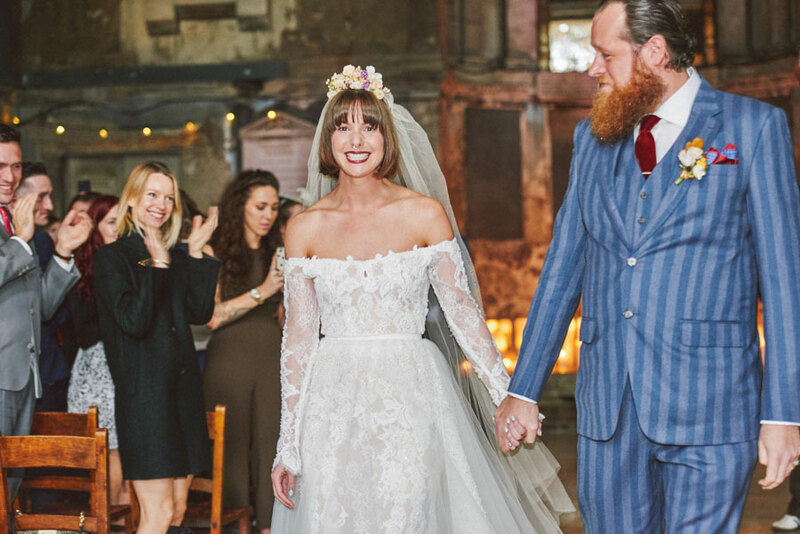 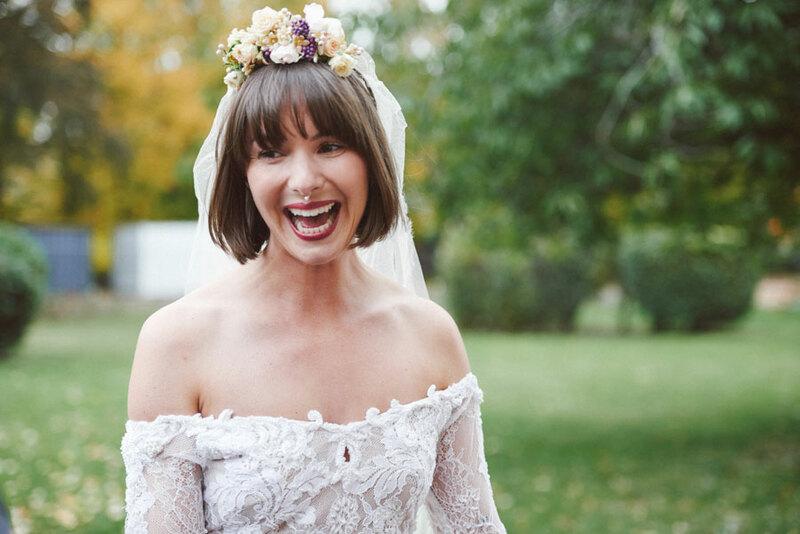 Ella looked so good in a stunning, off-the-shoulder, Liz Martinez wedding gown paired with vintage Yves Saint Laurent wedding shoes and a 1930s headpiece and veil. 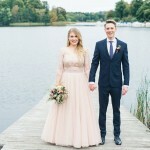 Her look was finished off with a slick of dark red lipstick and a statement Ersa Atelier overskirt for the ceremony. 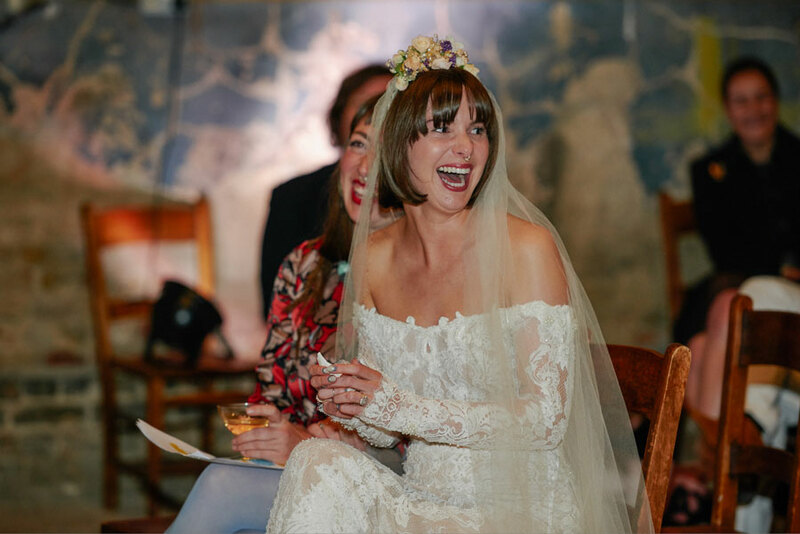 Words by Ella. 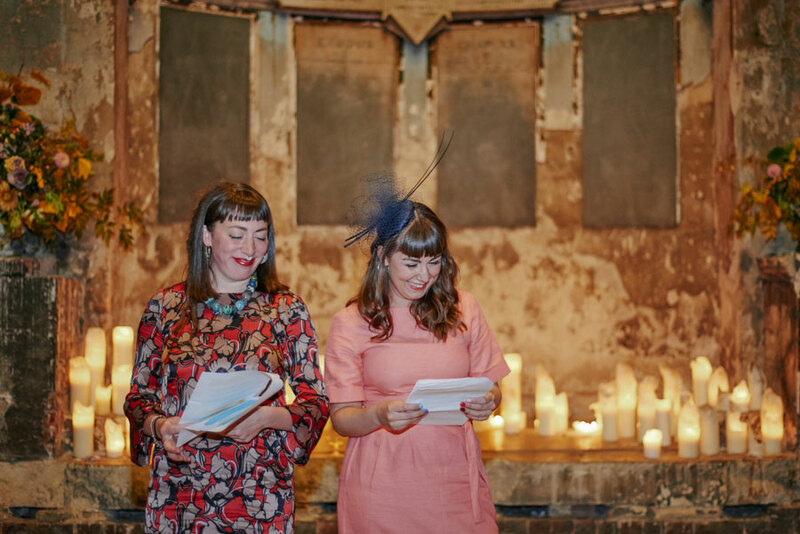 Images by Sally Rose Photography. 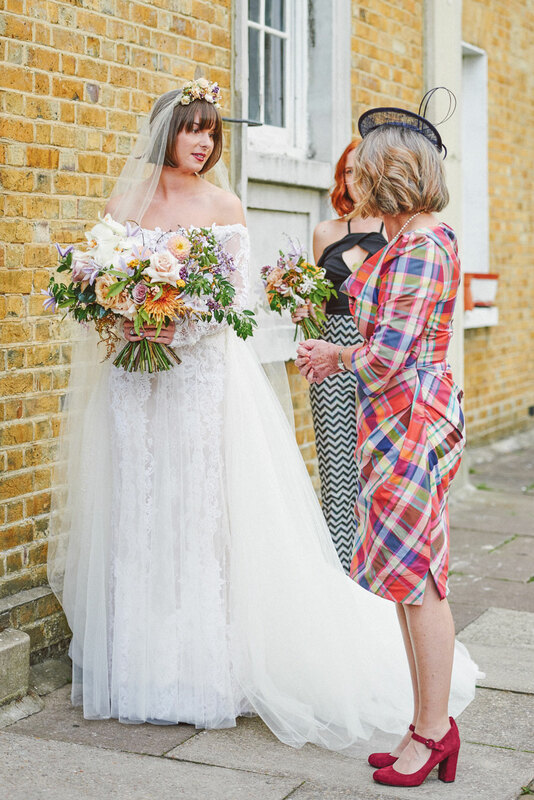 My wedding dress was by Liz Martinez, and I wore it with an overskirt by Ersa Atelier. 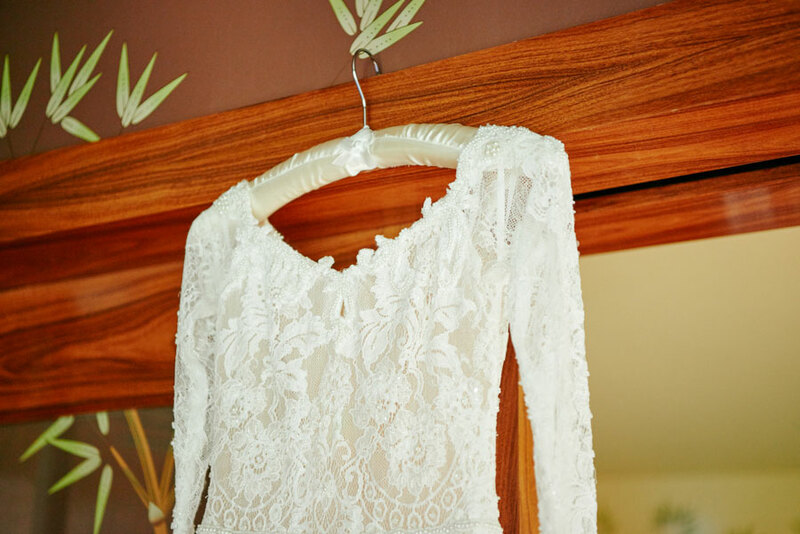 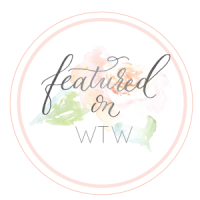 I particularly loved the long sleeves and how they covered part of my hands – the combination of that with the off the shoulder was what I fell in love with. 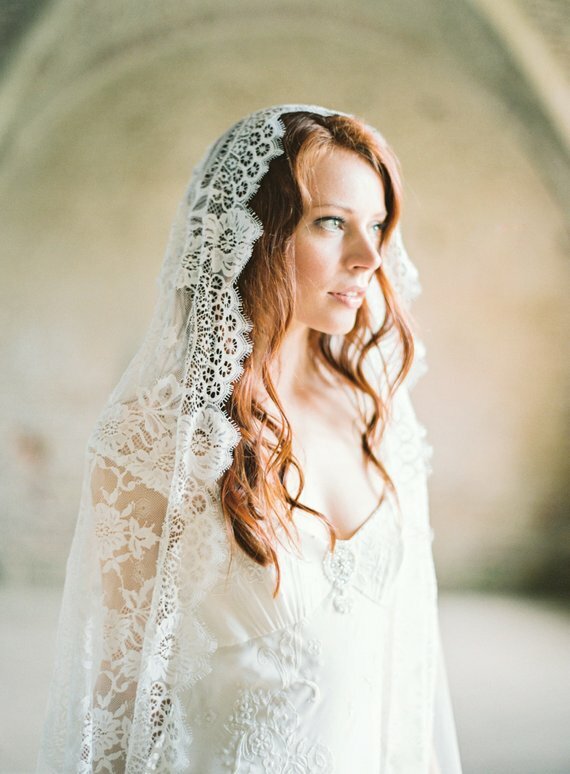 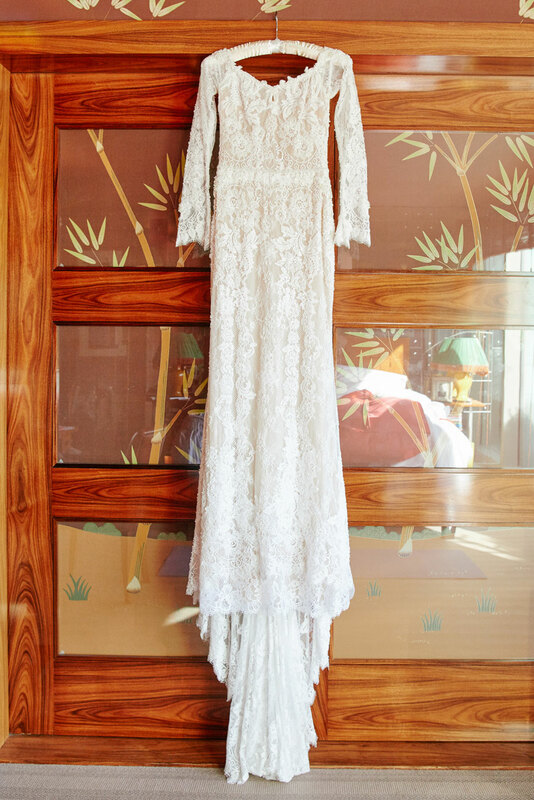 My veil was a vintage 1930s find and I wore a pair of Yves Saint Laurent shoes. 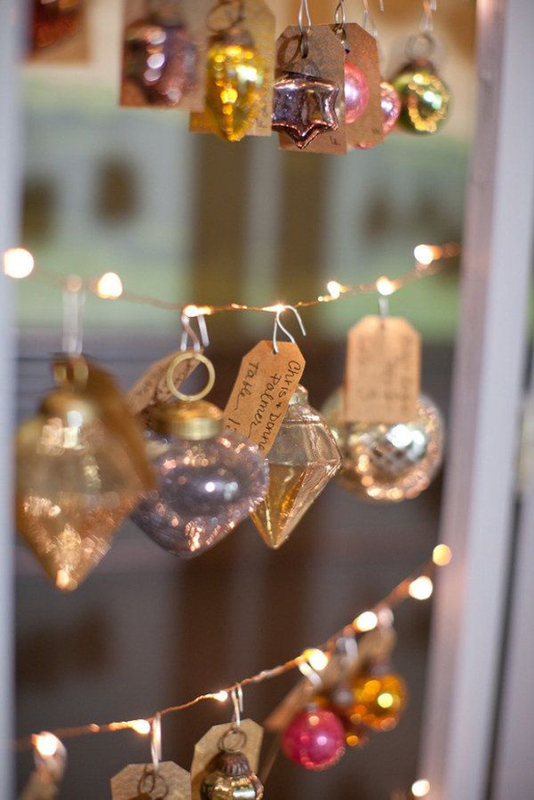 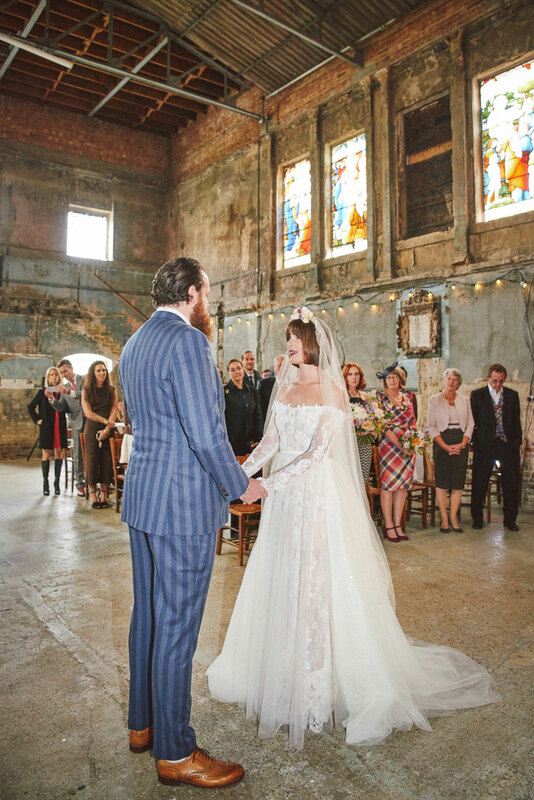 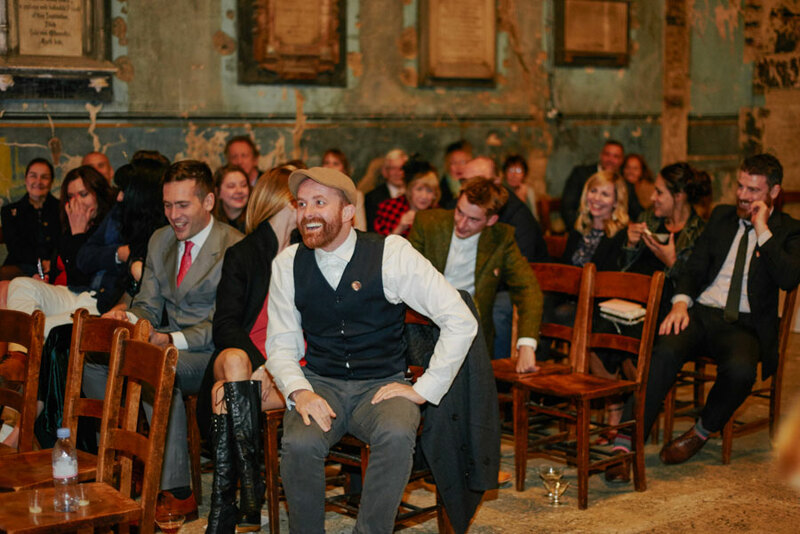 Our wedding venue was Asylum, Caroline Gardens Chapel, in Peckham, London. 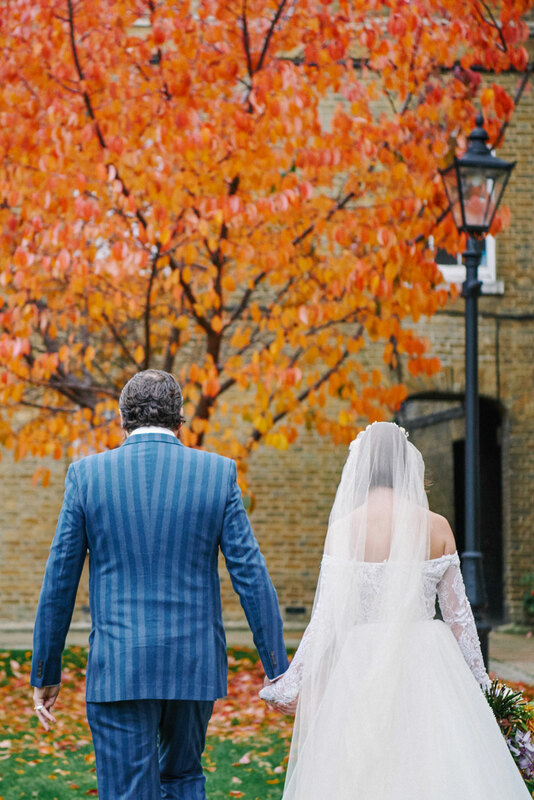 It was such a spectacular location, right up our alley, the only place we saw of many that we fell for. 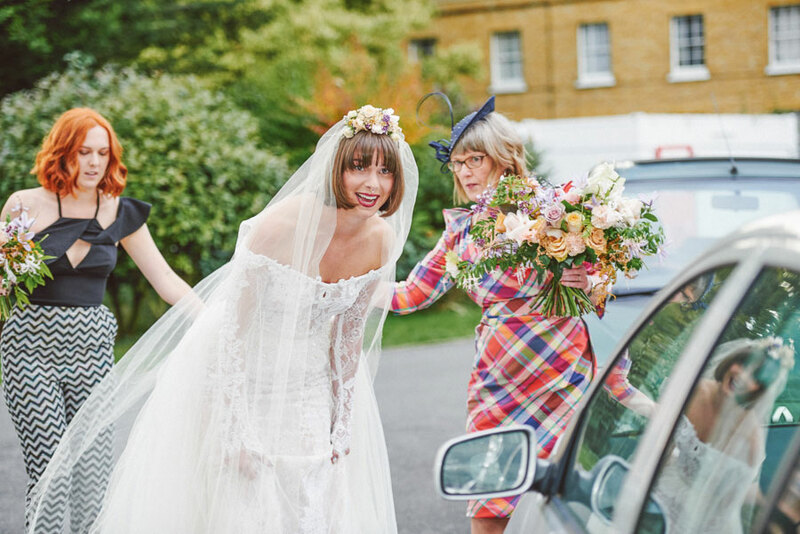 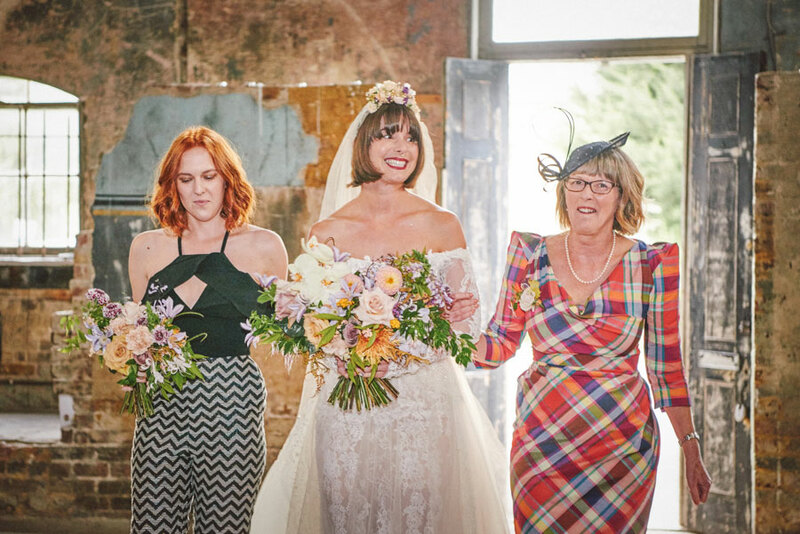 My Mum Helen walked me down the aisle to ‘She Belongs To Me’ by Bob Dylan. 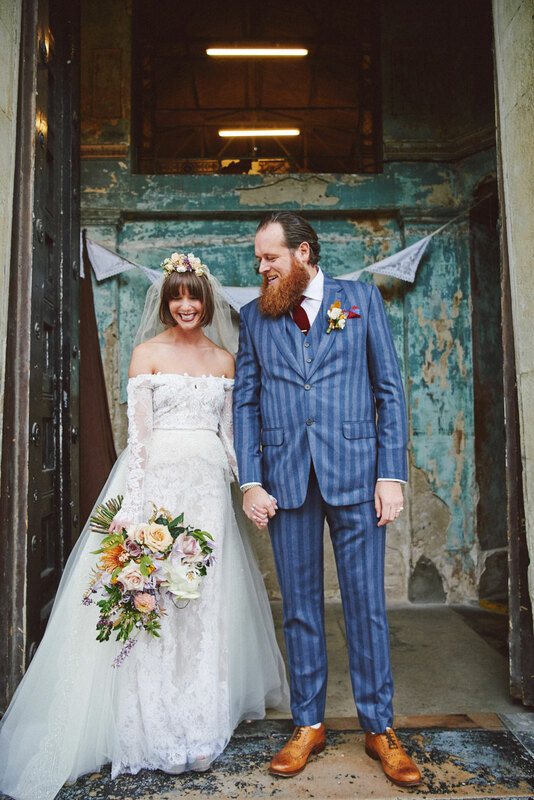 Seeing each other in the few moments before we got married and the first few moments afterwards, hiding outside, waiting for people to leave while we sipped champagne, those were definitely our most memorable moments of the day. 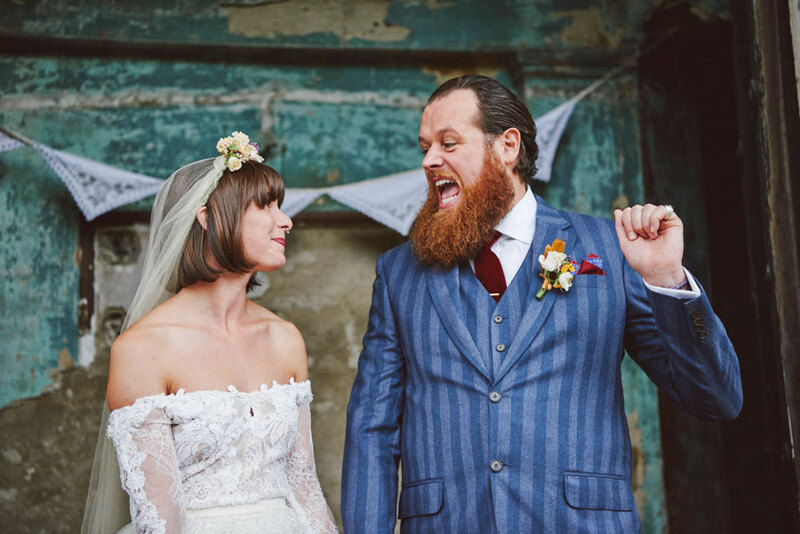 Daniel and I met in our hometown of Nottingham over 4 years ago and we worked together to create the day we wanted. 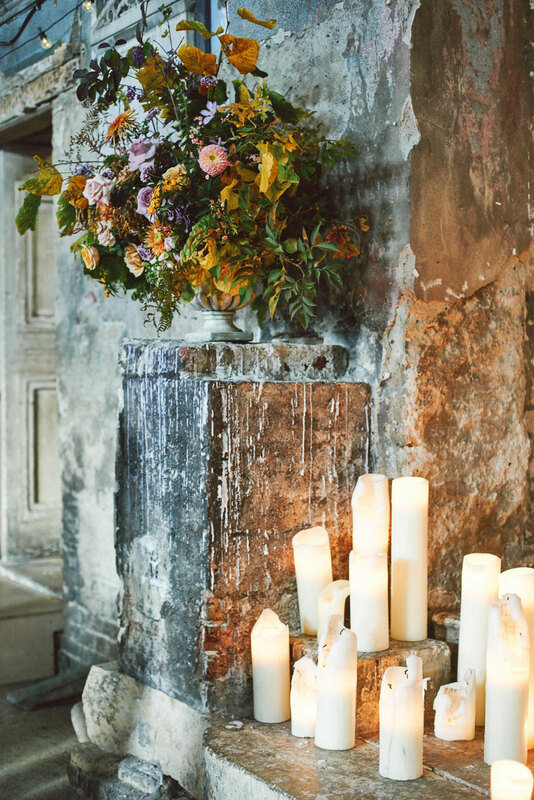 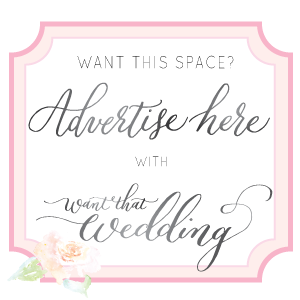 We needed a florist willing to echo the decaying appearance of the wedding venue. 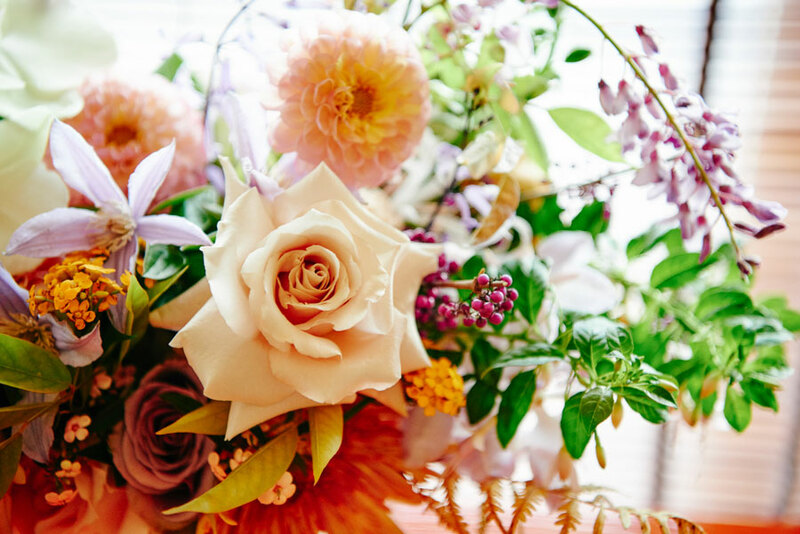 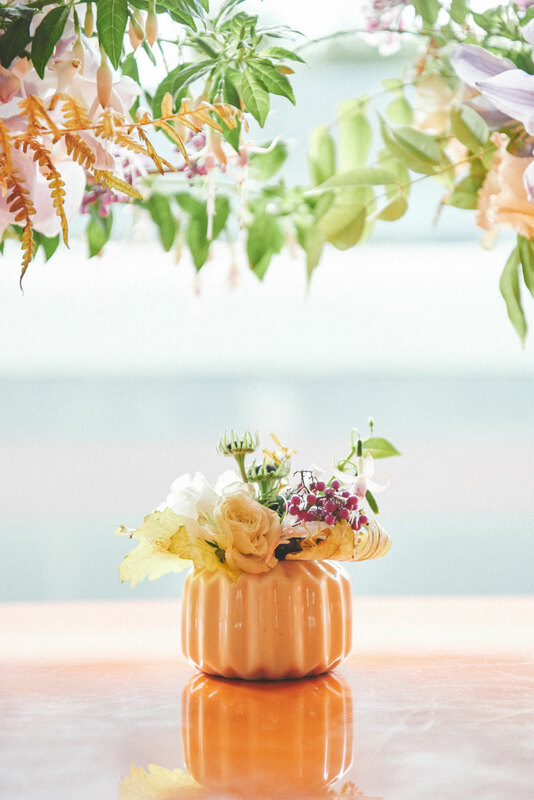 Our florist, Palais were open to experimentation and are immensely creative. 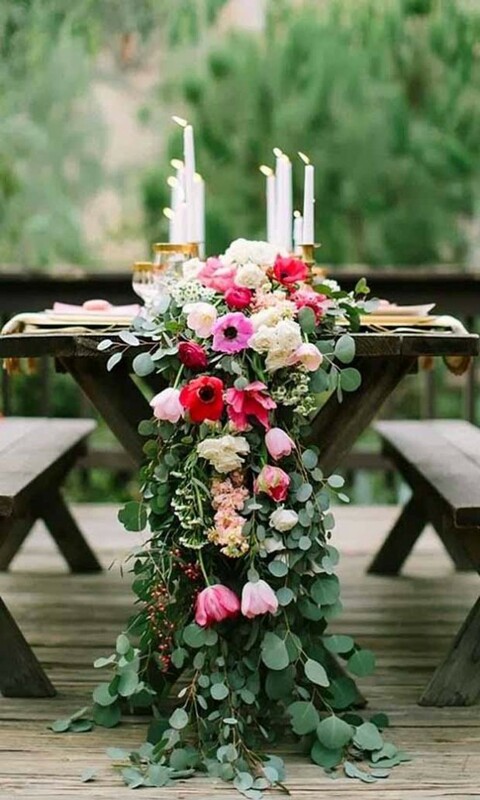 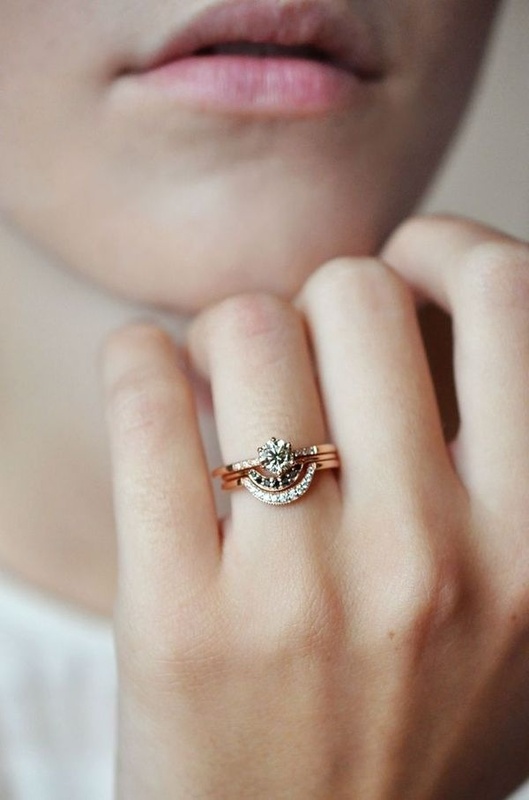 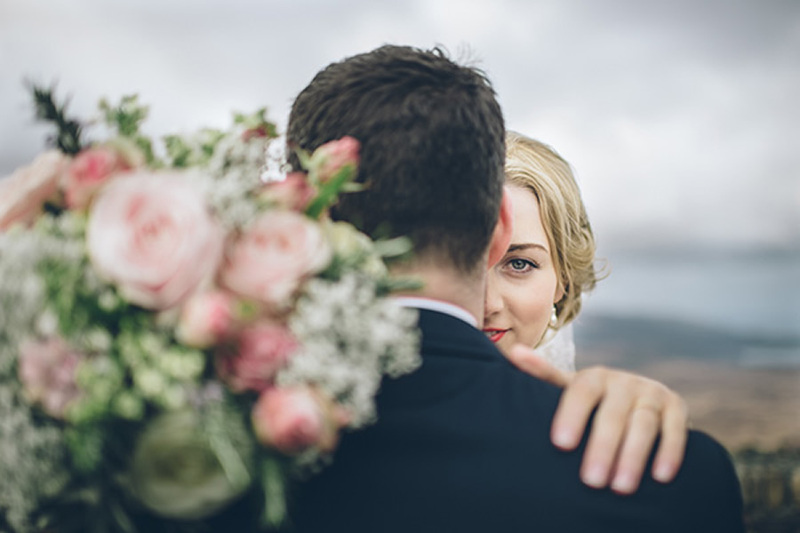 If we could impart any advice to other couples getting married we would say.. Make sure you give yourself lots of time beforehand and leave nothing to the last minute. 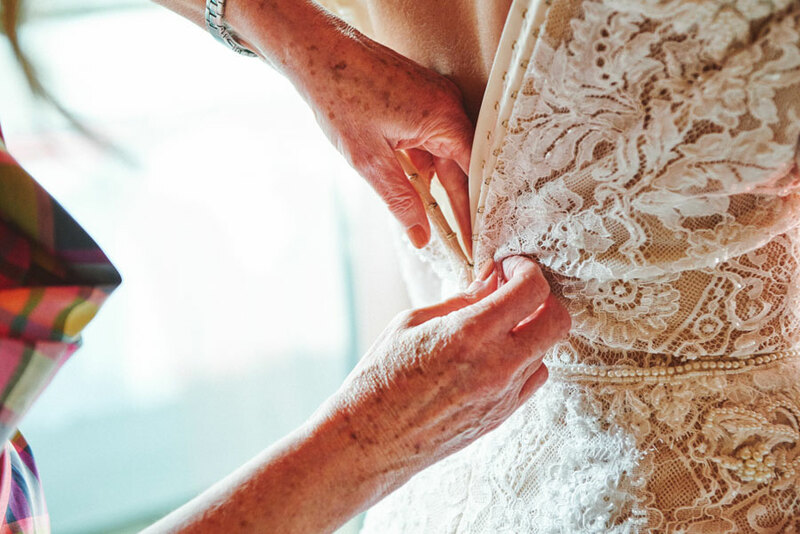 There are always unexpected things close to the wedding that will only add to your stress. 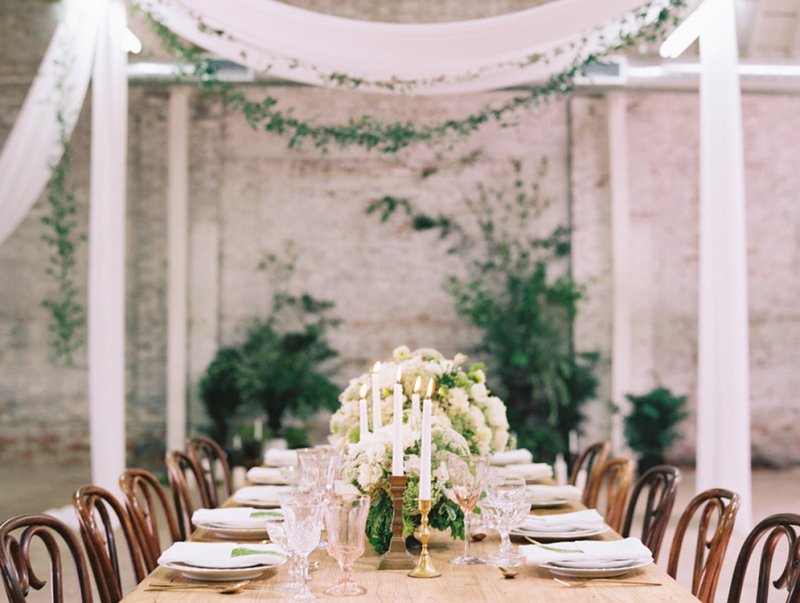 Make sure you’ve someone to help clean up at the end and don’t let anyone dictate how the day should be. 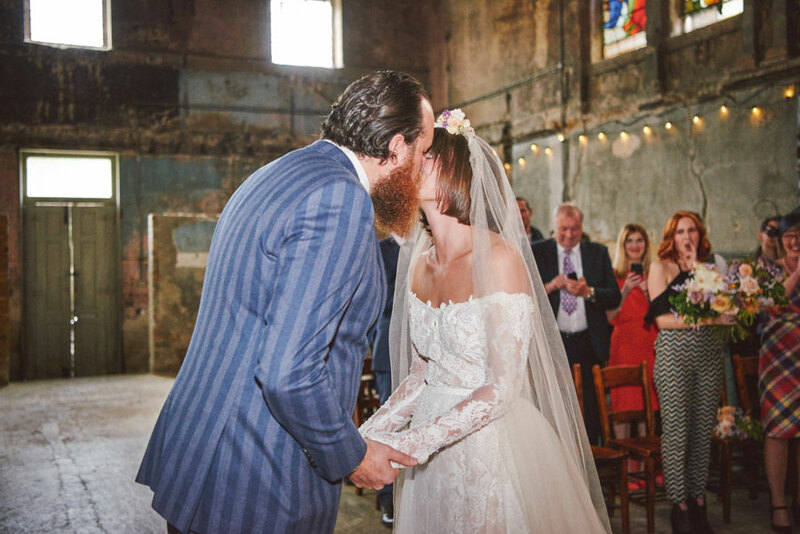 Our first dance was ‘I’ve Got A Crush On You’, a Gershwin ballad but the version sung by Frank Sinatra, as this song is the one Daniel sung to me when he proposed. 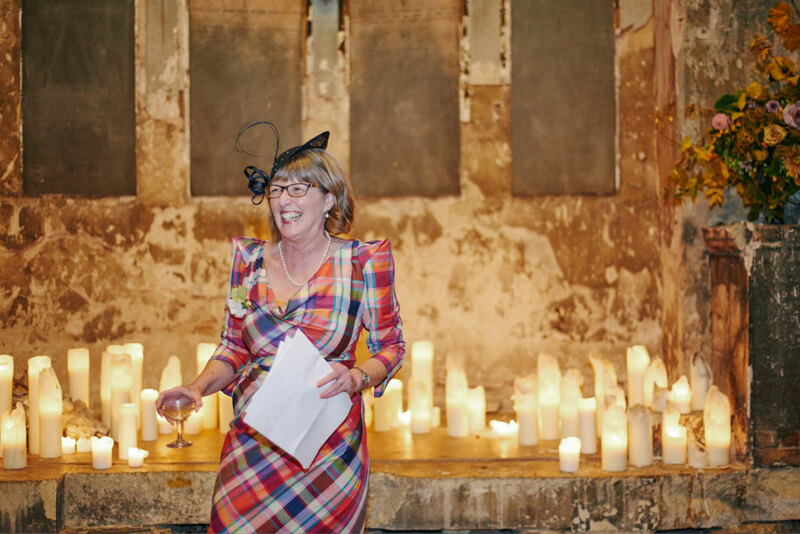 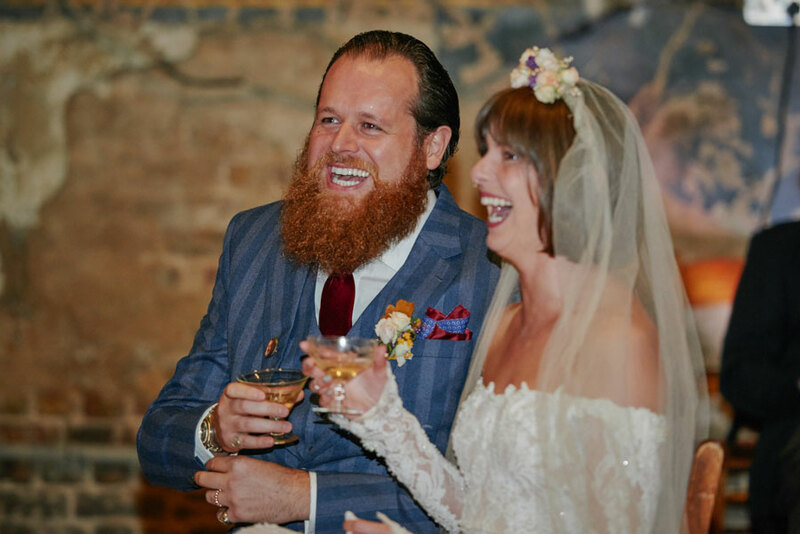 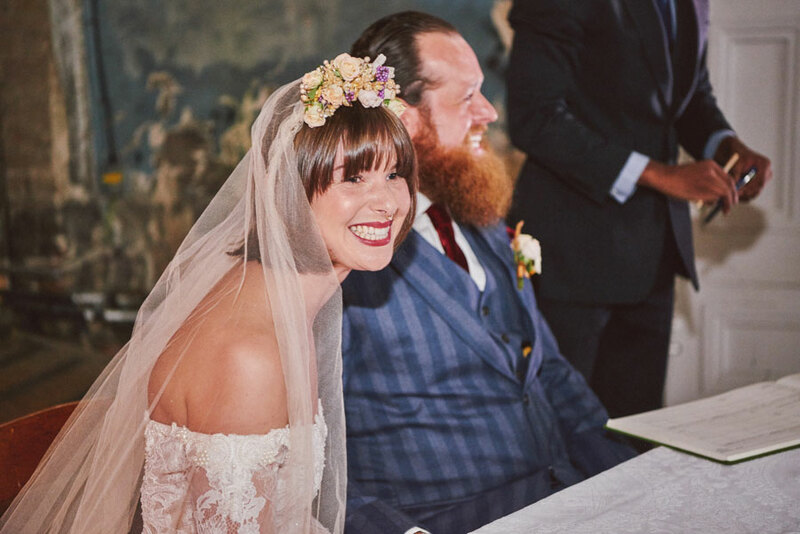 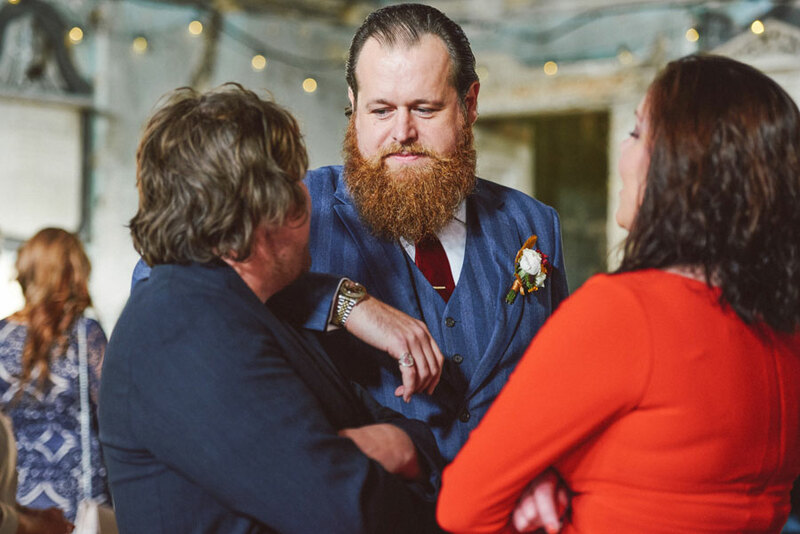 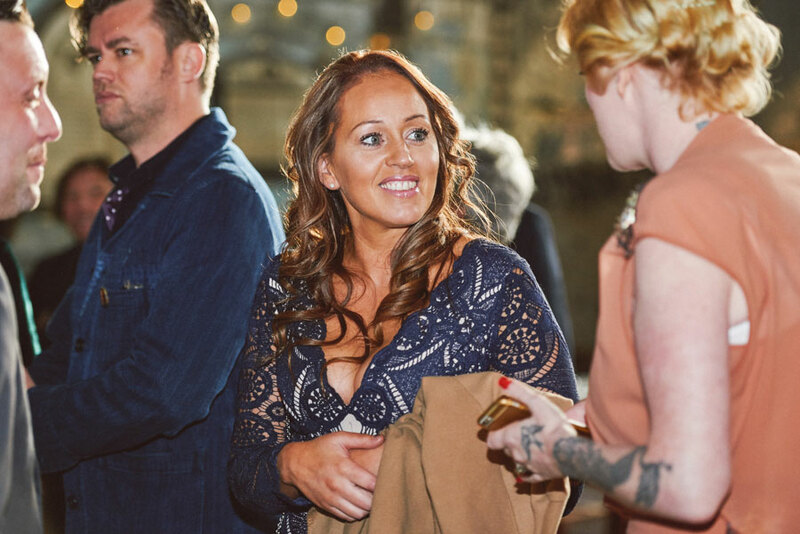 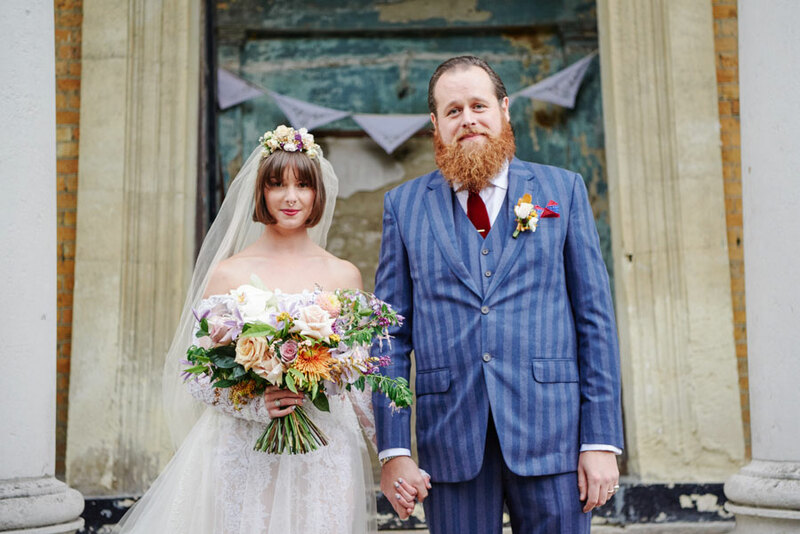 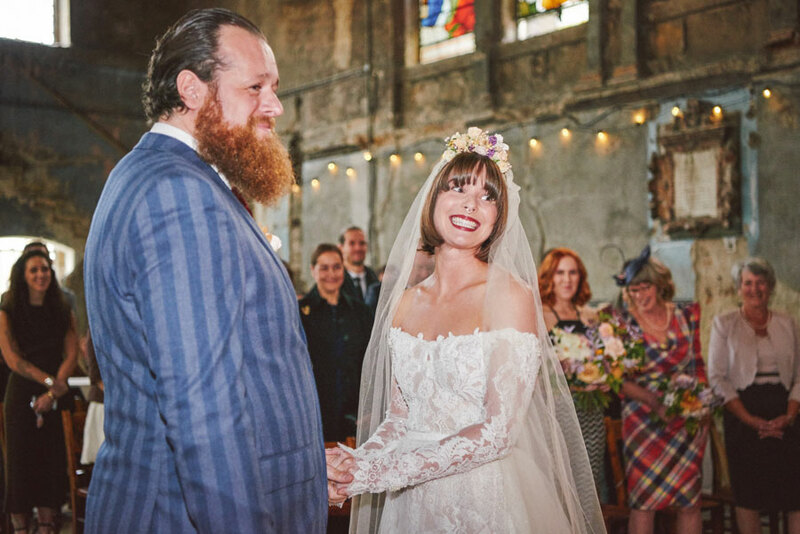 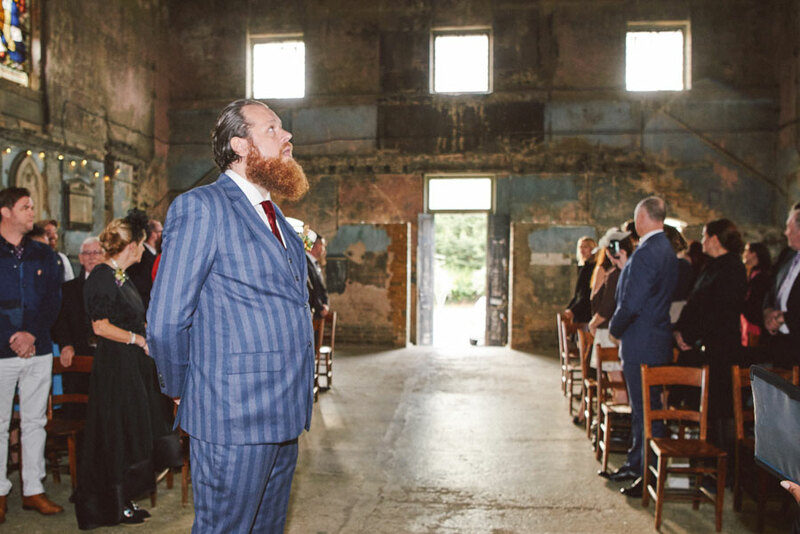 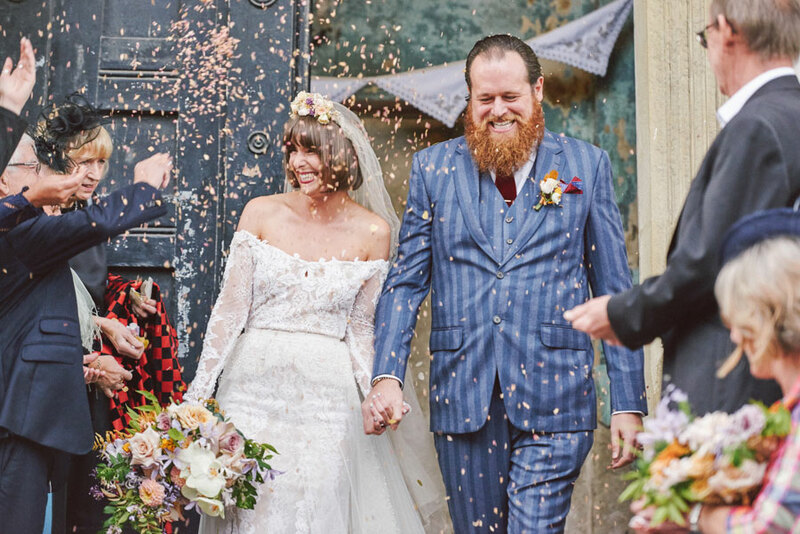 Huge thanks to Sally Rose for sharing this ultra hip wedding – that dilapidated church wedding venue is everything!